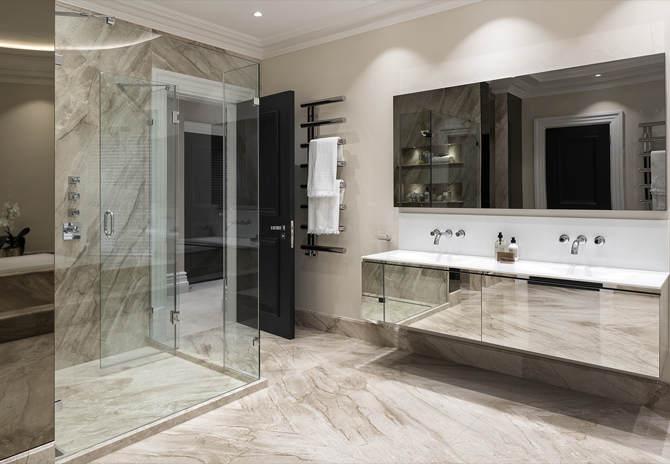 At Concept we pride ourselves on delivering “the highest quality, bathroom design service”, that will give you everything you need, to create bathrooms that ooze high end quality whilst demonstrating a stunning and creative use of space. We can help you with designing and specifying the best choices for your project at an early stage, whether you are about to start some building work and your project is a multiple refurbishment of existing and newly created bathroom areas . Or perhaps you have architectural plans for a luxury new build development that is about to start. Our free A3 colour visual design service, will coordinate all the details of your bathroom, giving you complete control over how you want your project to look, from colour coordination on tiles and paint colours, to latest styles, texturers and lighting design – our design team will cover it all . Concept’s bathroom design service offers our customers the very best flexability, we would normally start bathroom design works at the very early stages of a project, often before building work has even commenced, allowing us to optimise the space correctly, to give the very best results for our customers. 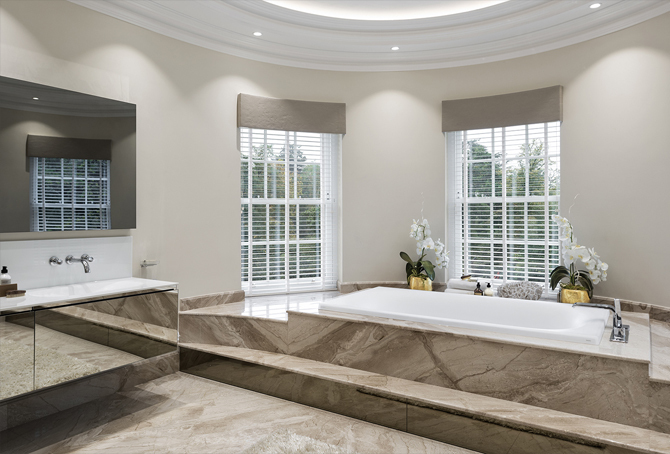 One of our latest projects was the creation of a master en-suite in Wentworth, Surrey, which our in-house design team worked on, designing this truly stunning master en suite, which used “book matched” marble. (This is where an entire block of marble is sliced into sheets and then laid side by side, like an open book.) 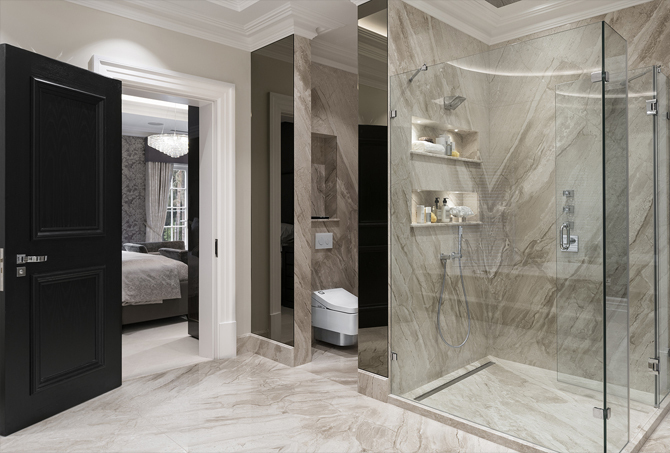 Marble is an exciting natural product to work with, giving a truly decadent appearance to the space, while the hardwearing nature of the material provides a truly solid surface that will look the timeless and unworn for years to come. Top quality products were used within the bathroom, including a TOTO Neorest Bath and the TOTO SG Washlet WC. Both of these products are exceptional quality and use ingenious technology to provide a truly exceptional user experience. The Neorest bath is made from hardwearing, durable luminous material, perfect for that luxurious, relaxing soak. This entry was posted in Luxury Bathrooms and tagged Ensuite In Marble, Hi End Bathroom Design, luxury bathroom design, marble bathroom design, Marble Ensuite, NEOREST range by TOTO, TOTO bathrooms, TOTO Washlet. Bookmark the permalink.